If you’re familiar with Henckels knives, you know they’re one of the best knives on the planet! 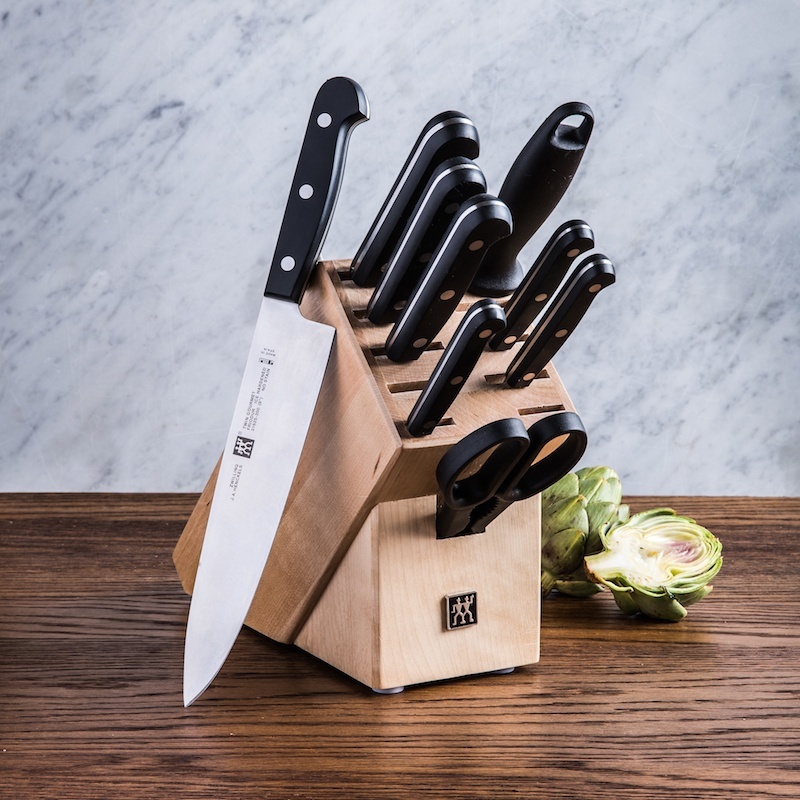 With so many different knife block sets available, how do you know which one is the best one for you? 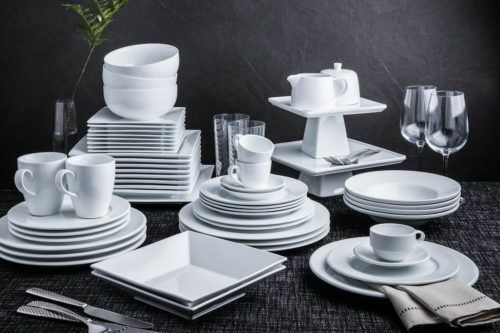 With all of them including a manufacture’s warranty with Henckels, it can be tough to find which one with suite your life. 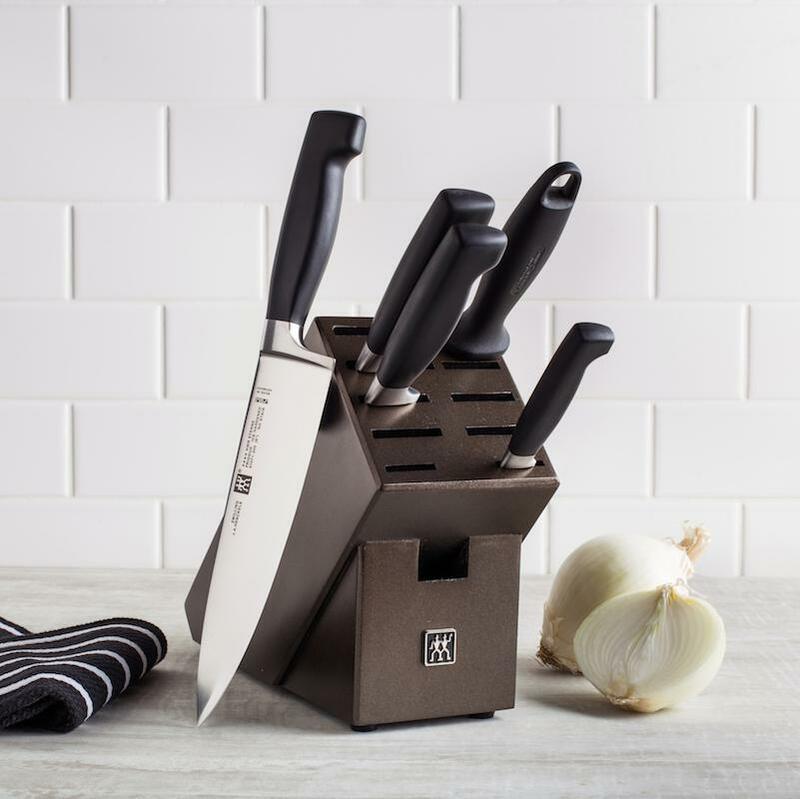 We’ve broken down the differences between all the Henckels Knife Blocks – what each knife block set includes, the materials, and more! 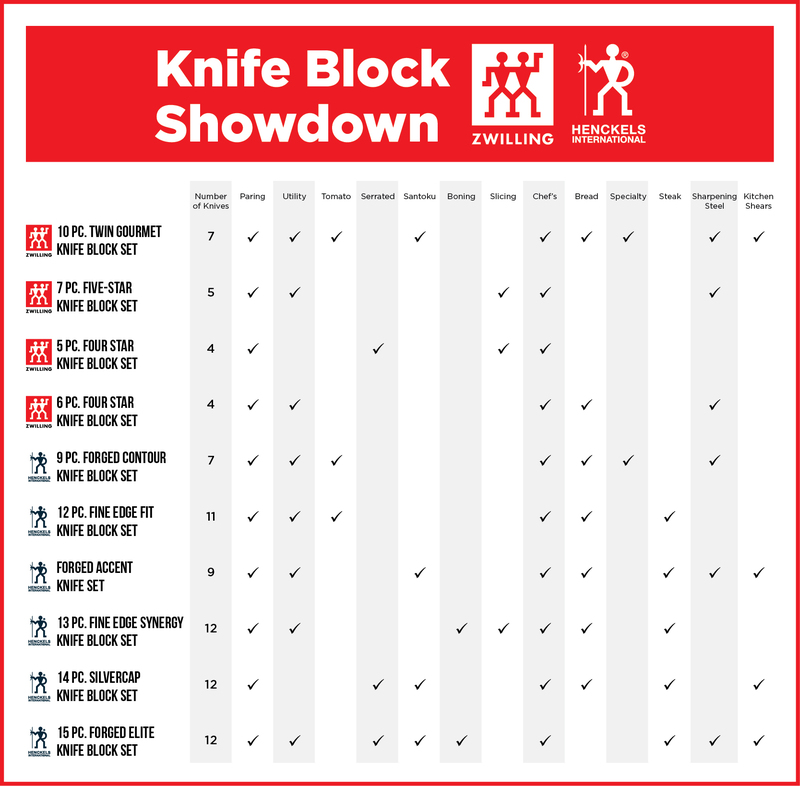 Don’t miss our detailed Henckels Knife Block Showdown at the bottom so you can compare all the options side by side. These knife blades are constructed from high carbon no-stain stainless steel and use Henckels patented FRIODUR® ice-hardening process. They are hand-honed for a longer lasting edge. 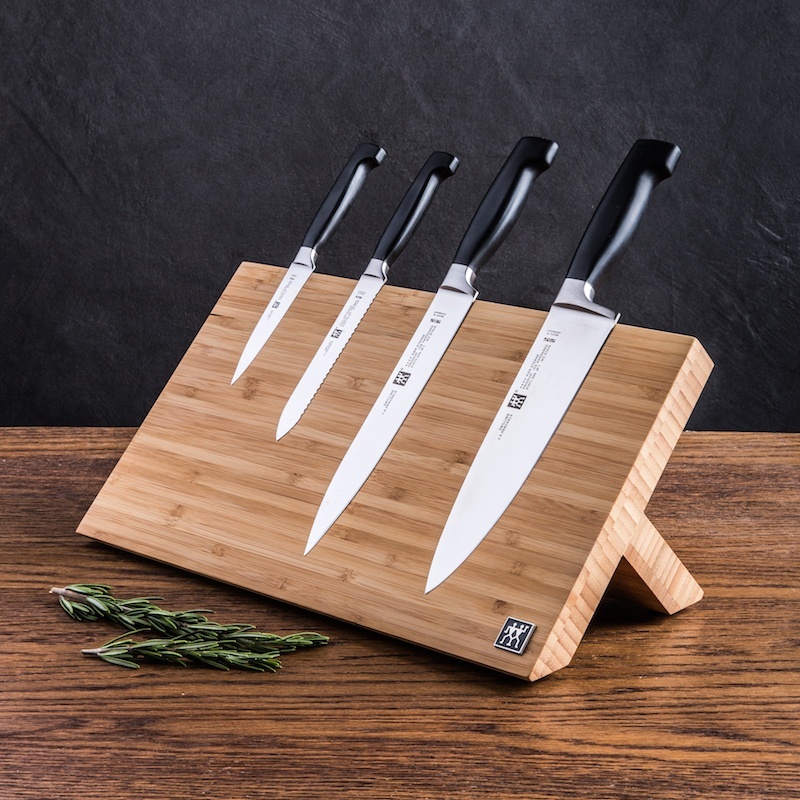 The FRIODUR® ice hardened blades stay sharper for longer which means you’ll spend less time sharpening and more time preparing the food you love. 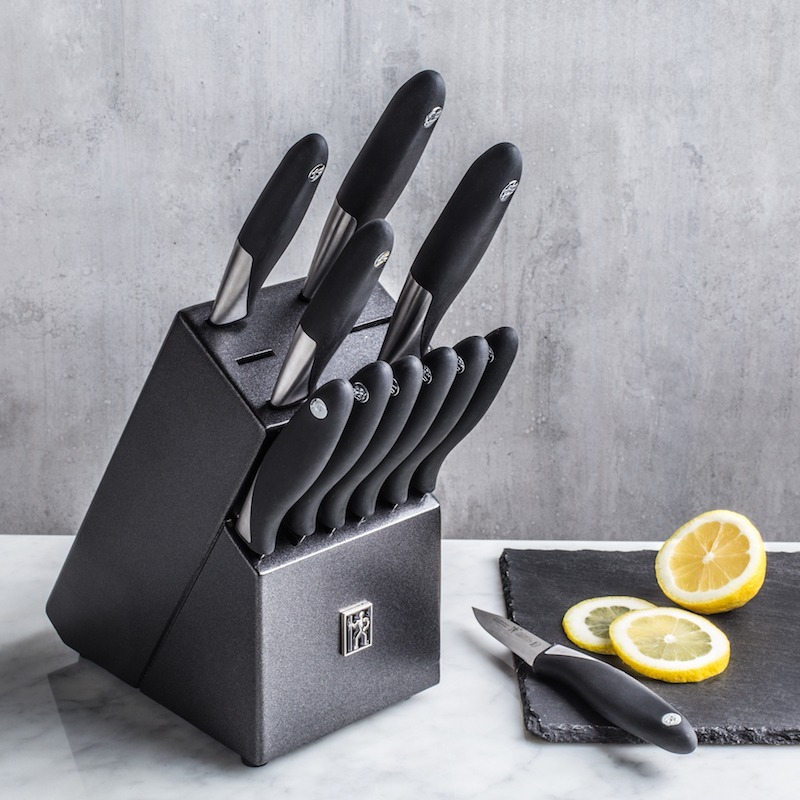 These knives are made in Germany, and they are dishwasher safe but hand washing is recommended. 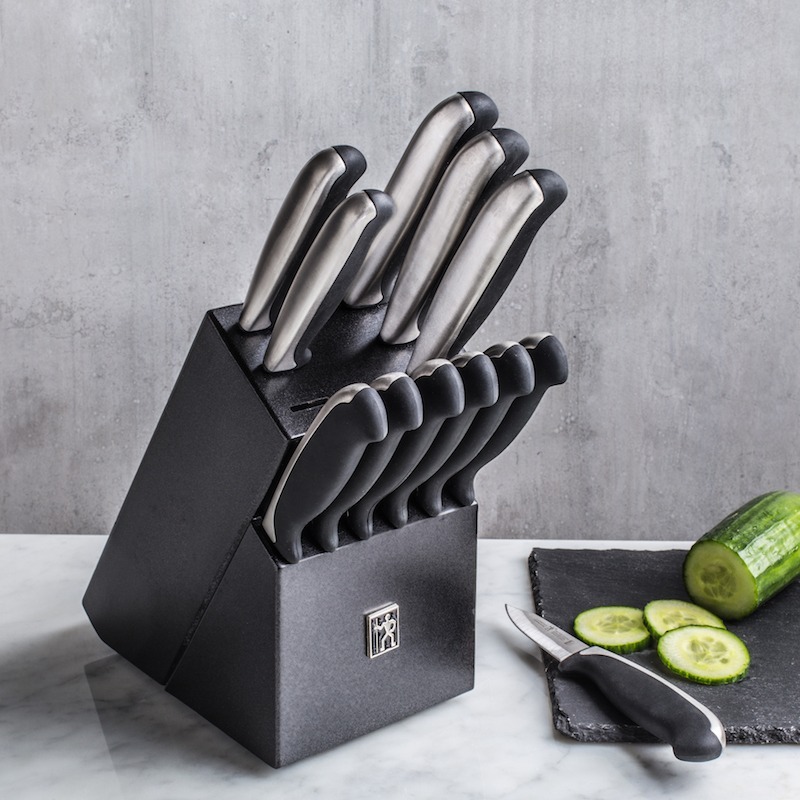 Each knife has a contoured anti-slip handle with a stainless steel back. The stainless steel blades is a one-piece precision stamped from Japanese steel and polished with a mirrored finish. 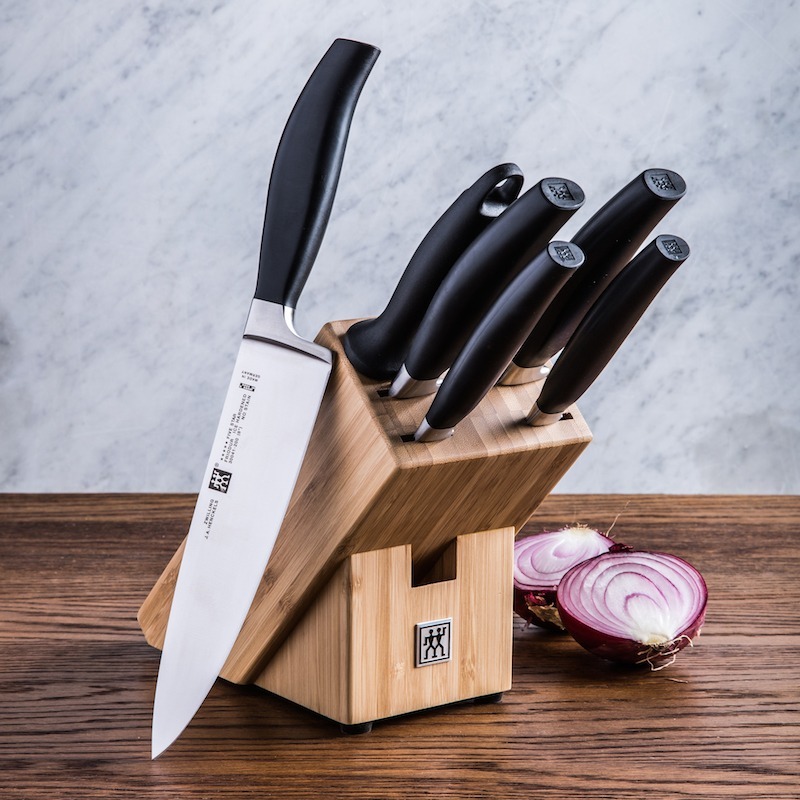 If you’re seeking a quality cut in a traditional style knife block, these knife block set with German stainless steel blades may be for you! These blades have been tempered and then honed for a sharpness that lasts. Plus, the three-rivet handles are comfortable to grip for a great cut for just $174.99*. 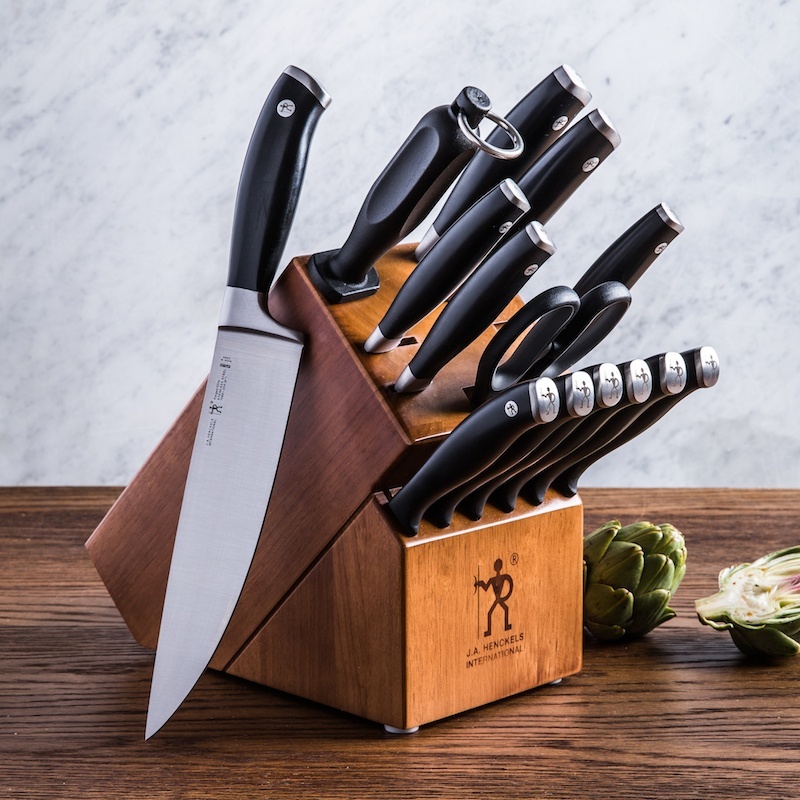 These Forged Contour knives (currently on sale for $129.99*) will easily become you choice of knife in the kitchen. 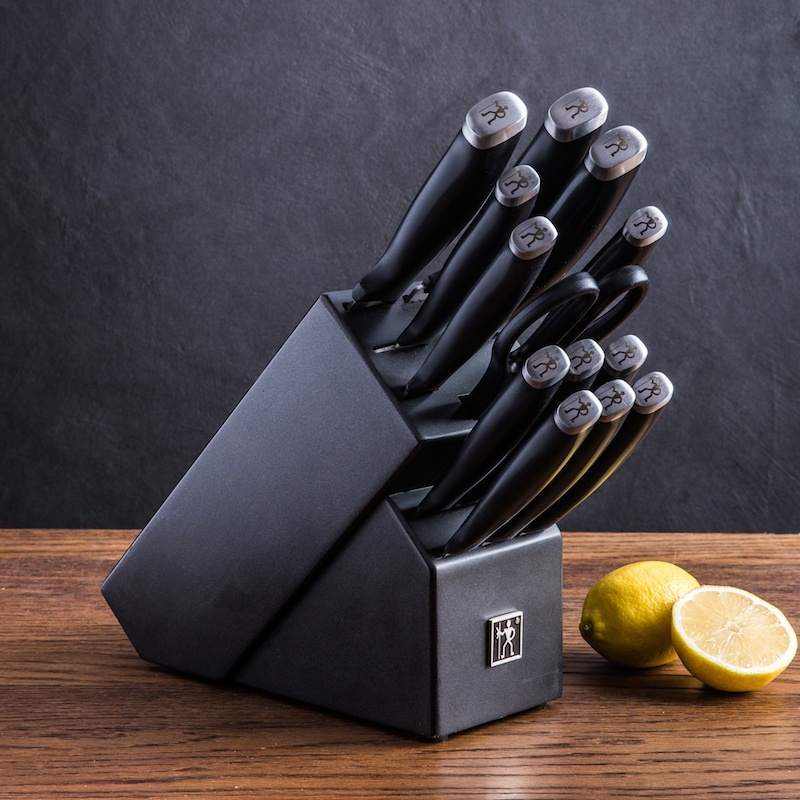 Forged from high quality stainless steel for durability and strength, these knives have a satin finish, high performance blade, tempered and honed for lasting sharpness. The contemporary contoured synthetic resin handles have a three rivet design. 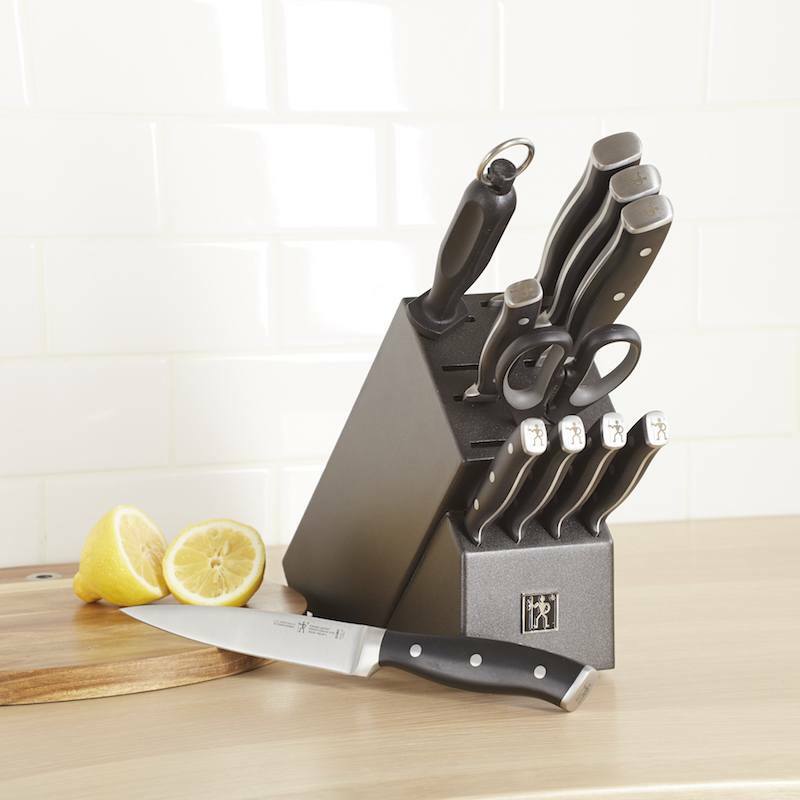 The knives are dishwasher safe, but we highly recommending hand washing. *Price as of publish date. 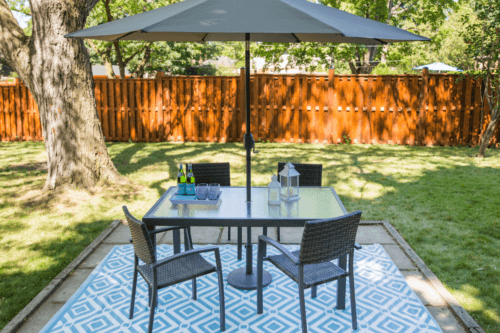 Need some more help making a decision? 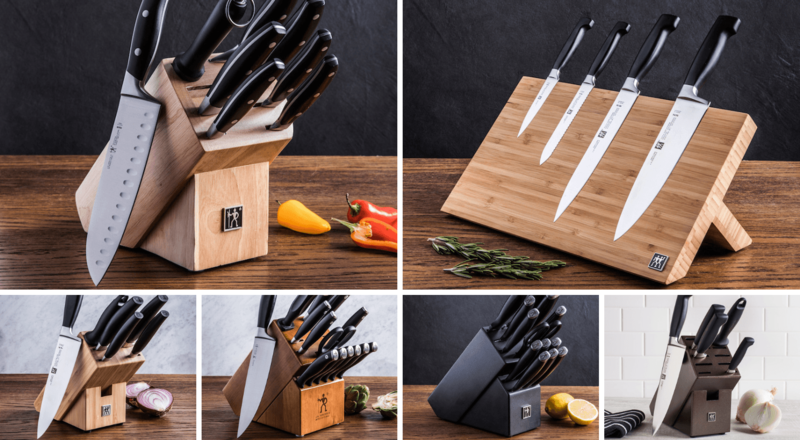 Visit your local Kitchen Stuff Plus store to see these knife block sets for yourself! Our sales associates are more than happy to answer any questions you may have about knife blocks. 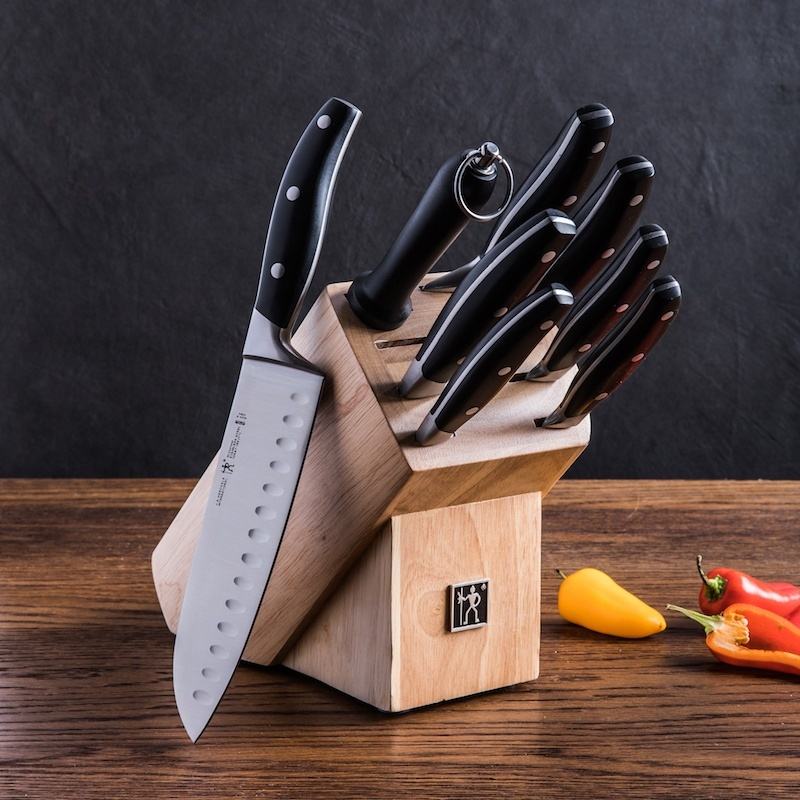 Not sure which knife block set is the right one for you? 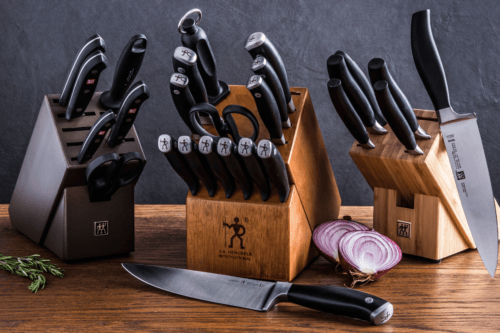 Take a look at A Beginner’s Guide to Buying a Quality Knife Set!